The South China Sea is a major fault line in the regional order. Australia is not a claimant state and does not take sides in the competing claims. Like other non-claimant states, however, we have a substantial interest in the stability of this crucial international waterway, and in the norms and laws that govern it. We have urged all claimants to refrain from actions that could increase tension and have called for a halt to land reclamation and construction activities. Australia is particularly concerned by the unprecedented pace and scale of China’s activities. Australia opposes the use of disputed features and artificial structures in the South China Sea for military purposes. We support the resolution of differences through negotiation based on international law. All claimants should clarify the full nature and extent of their claims according to the United Nations Convention on the Law of the Sea (UNCLOS). The Government reaffirms its position that the Permanent Court of Arbitration’s ruling on the Philippines South China Sea Arbitration is final and binding on both parties. But after I recently spent a week in China talking to scholars, analysts and commentators, it is also clear that the sourness in Canberra is being reciprocated. The mood among Chinese elites ranges from head scratching puzzlement to outright hostility. The people involved in these discussions are Australia specialists, many have studied here, sent their children to study here and have a generally positive disposition toward to the country. Ordinarily, scholars from China tend to be cautious and often voice their opinions obliquely. Not this time. [Australia’s] very public backing for the arbitration tribunal decision and its repeated figuring in public pronouncements appears to be a major concern. ‘Australia is not a claimant, so why does it make it such an issue?’ the Chinese wonder. Indeed, Australia has no disputes or conflicting security interests with China yet it repeatedly emphasizes that China is making the region less secure. This seems to get under the skin of many scholars and commentators. Pretty much any criticism of China infuriates them, but probably nothing infuriates them more than any mention of the July 2016 Tribunal ruling, which essentially made China an international criminal. So if Australia is increasingly concerned about China’s military threat to the region and the world, then it is not surprising that Australia has frequently made reference to the Tribunal ruling. And if Australia is making frequent reference to the Tribunal ruling, then it is not surprising China is directing more and more of its bottomless supply of fury at Australia. The Foreign Policy White Paper has drawn a particularly large tsunami of contemptuous criticism from China’s media. These criticisms have called the white paper “irresponsible.” They labeled Australia a “distant propaganda outpost” agitating against China. What I found very interesting about Bisley’s remarks is that the Chinese are supposedly bewildered and puzzled by the criticism, since Australia is not directly involved in the South China Sea. It is similar to when a man beats up his wife and then is bewildered and puzzled why anyone else should care, since they are not involved. The Australians are of course concerned that China’s illegal militarization of the South China Sea could result in a regional war in which Australia will be forced to participate. In fact, Australia is directly involved in the South China Sea as $3 trillion of commercial traffic passes through it each year. 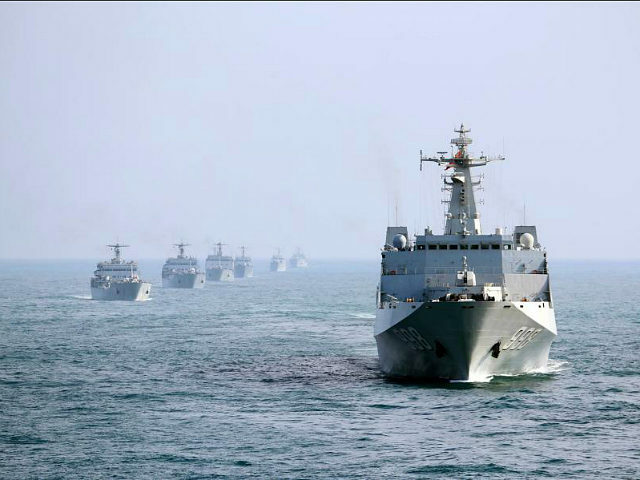 China’s military belligerence in the South China Sea is of concern to Australia, the whole region, and the whole world. For Chinese scholars, analysts and commentators to be bewildered and puzzled by Australia’s concern is just a sign of how delusional the Chinese are, something that I have written about many times as typical in a generational Crisis era. In the case of the Tribunal ruling, some of China’s evidence to support it claims turns out to be delusional or a complete hoax. Many Chinese people believe that their dictatorship is inherently stronger than the “weak” Western democracies and that they’ll win any war easily. Xi Jinping’s “Socialism with Chinese characteristics” is identical to Hitler’s National Socialism. 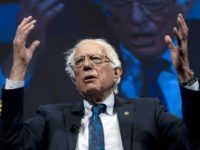 China is becoming a military dictatorship, is annexing other countries’ territories as Nazi Germany did in Czechoslovakia and Poland, and is adopting strong nationalist, xenophobic and racist views targeting the Tibetans, Uighurs, Japanese, South Koreans, Philippine people, and Vietnamese. China’s aggressive military buildup in the South China Sea has been out of the news for a while, but not because it has not been occurring. AMTI has identified all the permanent facilities on which China completed or began work since the start of the year. These include buildings ranging from underground storage areas and administrative buildings to large radar and sensor arrays. 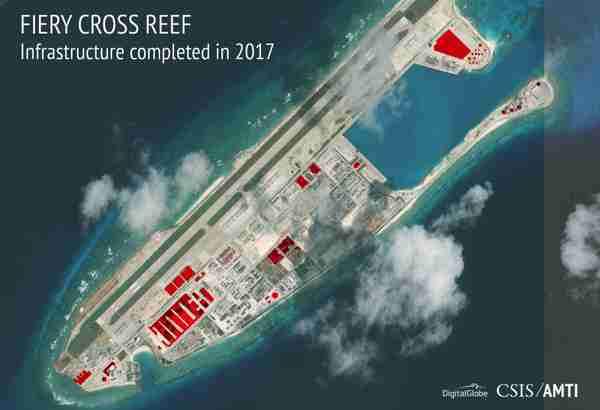 These facilities account for about 72 acres, or 290,000 square meters, of new real estate at Fiery Cross, Subi, and Mischief Reefs in the Spratlys, and North, Tree, and Triton Islands in the Paracels. This does not include temporary structures like storage containers or cement plants, or work other than construction, such as the spreading of soil and planting of grass at the new outposts. The United States helped to expand the liberal economic trading system to countries that did not share our values in the hopes that these states would liberalize their economic and political practices, and provide commensurate benefits to the United States. Experience now suggests that these countries distorted and undermined key economic institutions without prompting significant reform of their economies or politics. Since taking office, Trump has sought to maintain friendly relations with China, even treating China’s president Xi Jinping as a kind of BFF, in order to elicit cooperation on the North Korea nuclear missile crisis.